Two railroad tunnels -- one long, the other short -- played a critical role in the development of the modern Port of New York and New Jersey into a world-class center of trade and commerce. The Erie RR's Bergen Hill Tunnel opened in 1861 and was the first of its kind through the solid rock of Bergen Hill. A pioneering technological and engineering achievement, the tunnel was one of the longest in North America and gave the Erie RR direct access to the New Jersey side of the Hudson River. It secured the railroad's position as the first all-rail trunk line between the Great Lakes and America's preeminent harbor at New York. East Portal, Bergen Hill Tunnel, 2008 (Richard Grubb & Associates). The Waldo Yard Tunnel opened in 1897 and formed the final link in a short but important north-south rail corridor connecting all the major trunk lines terminating on the New Jersey side of the Hudson River. Measuring just 435 feet in length, this short tunnel spawned a protracted and violent battle between two of the nation's most competitive railroads over issues of property rights, eminent domain, and their ability to apportion or restrict the free flow of rail traffic within the Port of New York. North Portal, Waldo Yard Tunnel, 2008 (Richard Grubb & Associates). Significance: Built under the auspices of the Long Dock Company between 1856 and 1861 and modified during the late nineteenth and early twentieth century, the Erie Railroad Bergen Hill Tunnel was the first tunnel bore of its kind through a basaltic intrusion of solid rock called Bergen Hill, extending along the western shore of the North (Hudson) River. Excavated by hand, the tunnel was the longest of its kind for many years and a pioneering technological and engineering achievement of its age. 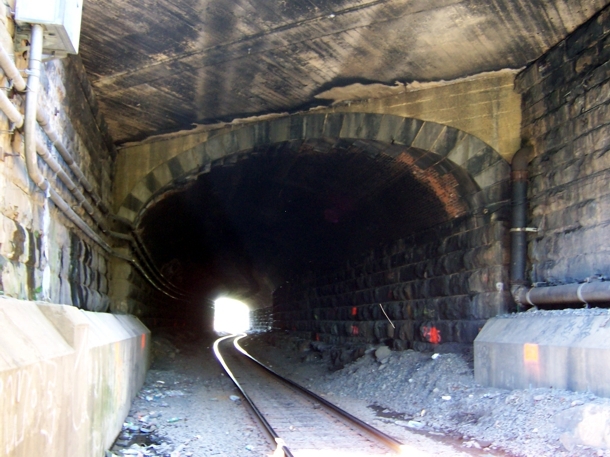 On April 27, 2000, the New Jersey Historic Preservation Office identified The Erie RR Bergen Hill Tunnel eligible for inclusion in the National Register of Historic Places for its significance in the history of transportation, architecture, and engineering. Significance: The Waldo Yard Tunnel, built by the National Docks & New Jersey Junction Connecting Railway beneath a rail yard of the Pennsylvania RR, formed the final link in the only north-south rail line connecting all the major trunk lines terminating on the New Jersey side of the Hudson River. It allowed direct rail interchange between all the railroads, contributing to railroad development and operations in Jersey City. 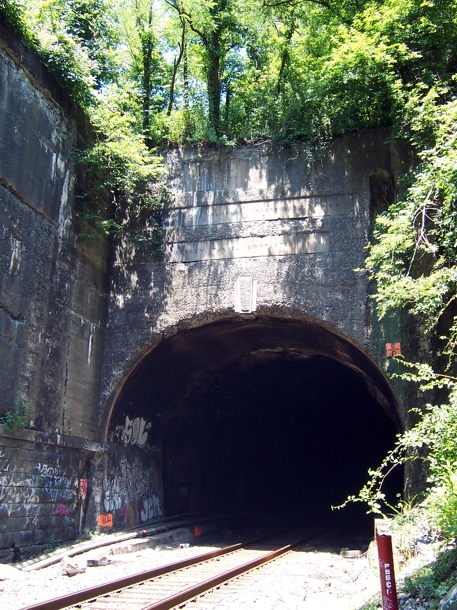 The New Jersey Historic Preservation Office identified the Waldo Yard Tunnel eligible for inclusion in the National Register of Historic Places on February 27, 2009 for its significant associations to transportation history.